This Instant Rava Kara Kuzhi Paniyaram is a life savior to make in the morning for kids lunch box as well as adults. 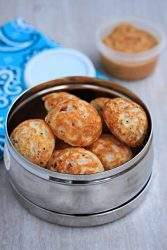 If you are a fan of appe pan recipes, then this Lunch Box Appe Recipe is something you will love. 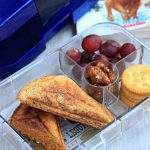 I have blogged several Lunch Box recipes and still there are many mornings when I am at loss as to what to pack for lunch. I prefer to make something that we all in the family can enjoy. Yesterday, I blogged about the Potato Masala Sandwich, that is one of our favorite. I use the same potato filling to make Aloo Paratha as well and so once I have the filling ready, depending on what my kids and husband wants, I can make either of them. 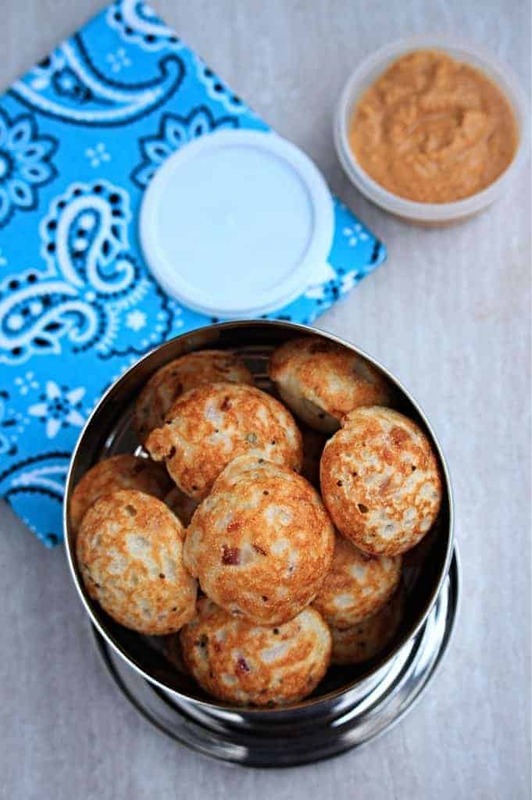 Kara Kuzhi Paniyaram is one of our other favorite and such a quick recipe to make in the mornings. If you have leftover idli / dosa batter, then it is even simpler and you can make this version of the Kuzhi Paniyaram. 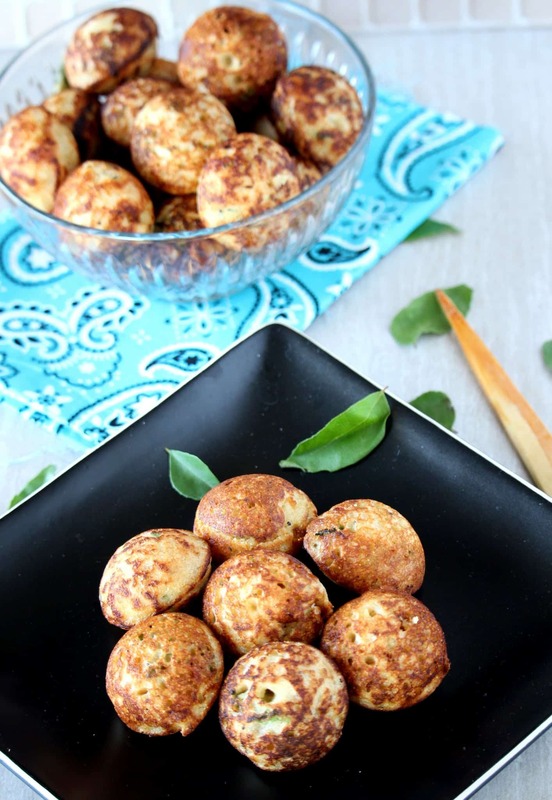 If you are a wheat flour lover, then you definitely have to make this Wheat Flour Kara Kuzhi Paniyaram. Today, I have a very similar recipe but made with rava / semolina / sooji. 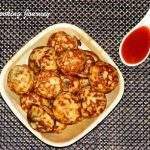 Try this really quick Instant Rava Kara Kuzhi Paniyaram and I am sure everyone will love it. 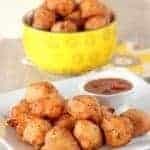 My boys especially love to take bite size recipes to school as it is easier for them to eat. That is one of the main reasons, kuzhi paniyaram is very popular in my house. I can add as many vegetables or as less depending on the day. 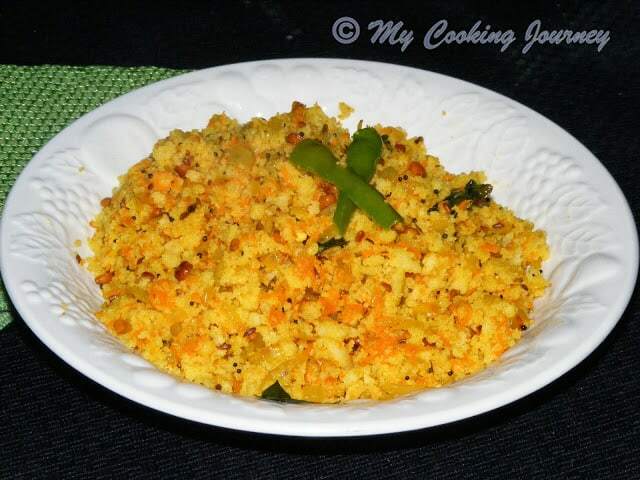 For this Instant Rava Kara Kuzhi Paniyaram, I kept it pretty simple and used just onions. 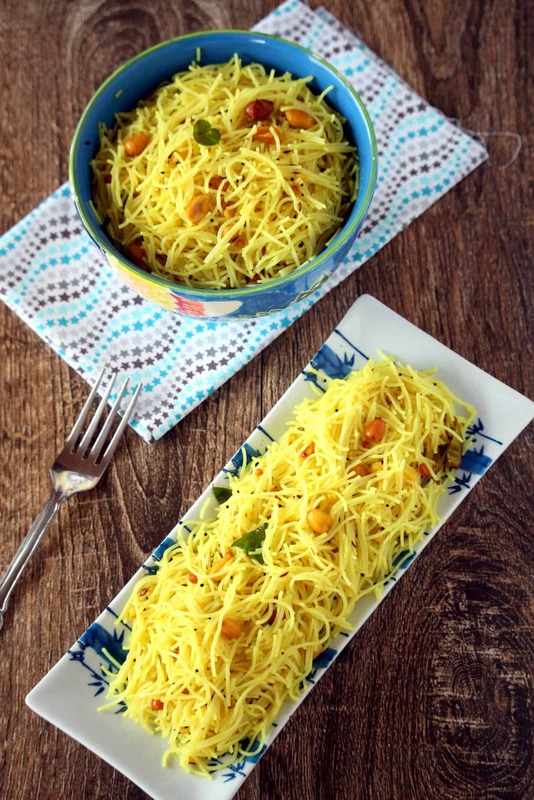 If you like it, you can also use finely grated carrots and finely chopped bell peppers. My kids take it school with ketchup on the side and come back saying this is the easiest to lunch and they love it. My husband took this with masoor dal chutney for lunch. I also make sure that I send some yogurt for my kids and my husband likes to take some Masala Chaas. 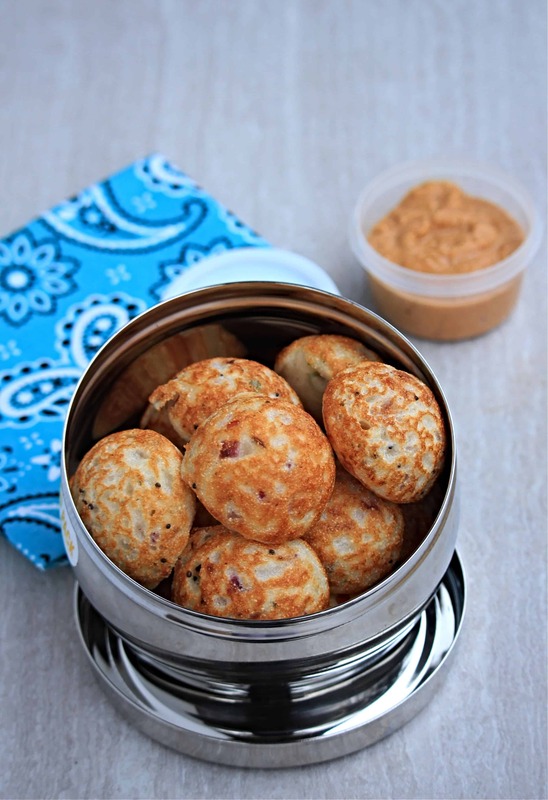 My second post for this month’s BM Theme, Kid’s delight – Lunch Box recipes is this Rava Kara Kuzhi paniyaram. 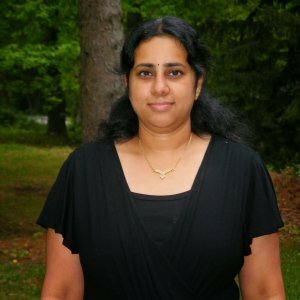 Bhawana of Code2Cook is hosting Srivalli’s Kid’s delight event for this month. 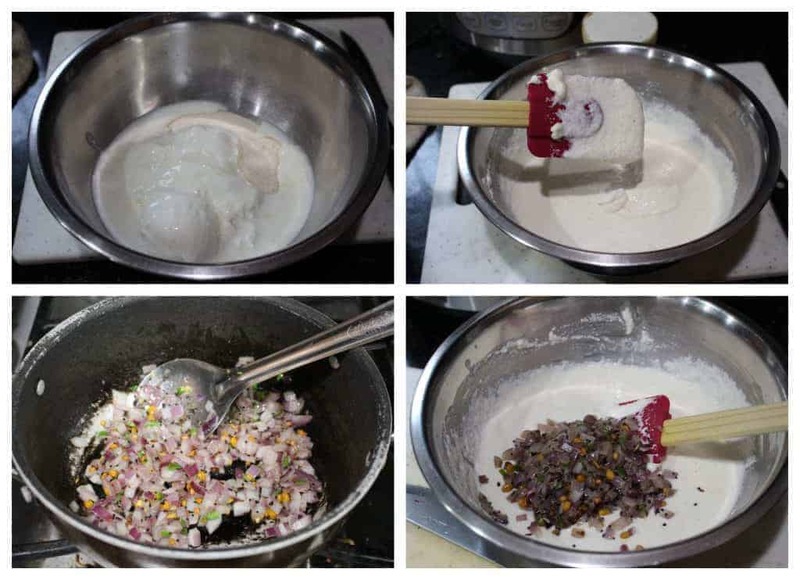 In a wide bowl, measure the rava and add the yogurt in it. Use sour yogurt if you have it available as it helps making it more flavorful. Mix the rava well without any lumps. Now add just enough water to make a thick batter. The batter should be in the consistency of idli batter. Add the salt needed for the batter and mix well. Keep this batter aside for 10 to 15 minutes, so the rava / semolina could absorb as much as liquid and soften a bit. In the meantime, heat a pan and add 1 TBSP of oil. Once the oil heats up, add the mustard seeds, cumin seeds, chana dal and fry until the chana dal becomes golden brown. Now add the chopped onions, green chilies and ginger and let it fry for 3 to 4 minutes or until the onions are slightly soft. Add just enough salt for the onion mixture when cooking as we have already added salt to the rava batter. Once the onion mixture cools down slightly, add it to the rava / semolina batter and mix well. Check the consistency of the batter and add more water if needed. Heat the appe pan on medium heat and add a little oil in each of the tiny hole. You can even use a pastry brush and brush the oil evenly. 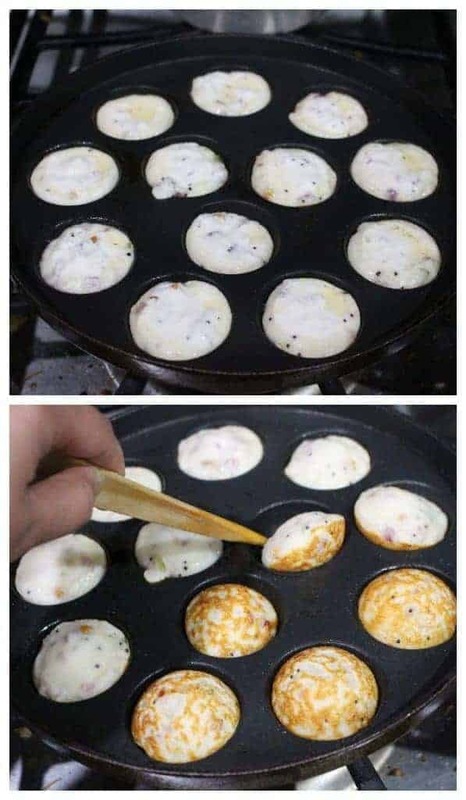 Pour that batter in each hole and cover the pan for the paniyaram / appe to cook evenly. Flip the paniyaram once the bottom starts to become golden brown and flip it over. Let the other side cook for about 30 seconds and then remove them from the pan. Serve it with some spicy chutney or with ketchup. My boys take it to school with ketchup and I packed it with Masoor Dal Chutney for my husband. Those instant paniyaram look so crispy, fluffy and delicious. Love that they are instant and don’t need any fermentation time. 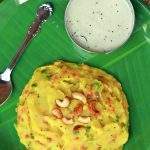 I love to make paniyaram and this is drooling me and I want them now. Beautiful clicks. I have somehow never got around making paniyarams. Wondering why ? They look so good and simple to make and obviously make such a fantastic breakfast . Definitely jotting down a menu now and including this healthy breakfast . I love to make variety paniyararam for my daughter. If there is idli batter left, they always end up as paniyaram. This version with sooji looks fantastic Sandhya. That sounds perfect, Sandhya. 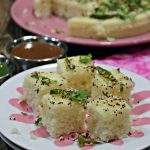 I also make this with a variety of ingredients but I have never tried with semolina. Bookmarked. These paniyarams look so sinful Sandhya. So easy to make and tastes fantastic. Its wonderful that your whole family loves this. A healthy and yummy option for kids lunchbox and the best part is that these are instant. These look so inviting, I will love to have these with some coconut chutney. These instant rava appes have come out fluffy and look very inviting. Bookmarked. 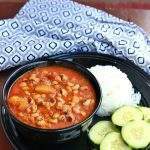 I’m in love with this recipe of yours! All of us at home adore kuzhi paniyaram in various forms, and I wonder why I never tried them out with rava before. 😐 Will be making this soon. Bookmarked this post.